Ever since Netflix released Season 2 of Daredevil, viewers have quickly become intrigued with the season's newest major character — Frank Castle, aka the Punisher. If you marathoned the sophomore season, then I'm sure you're still feeling all kinds of emotions and can't get the Marvel series out of your head. 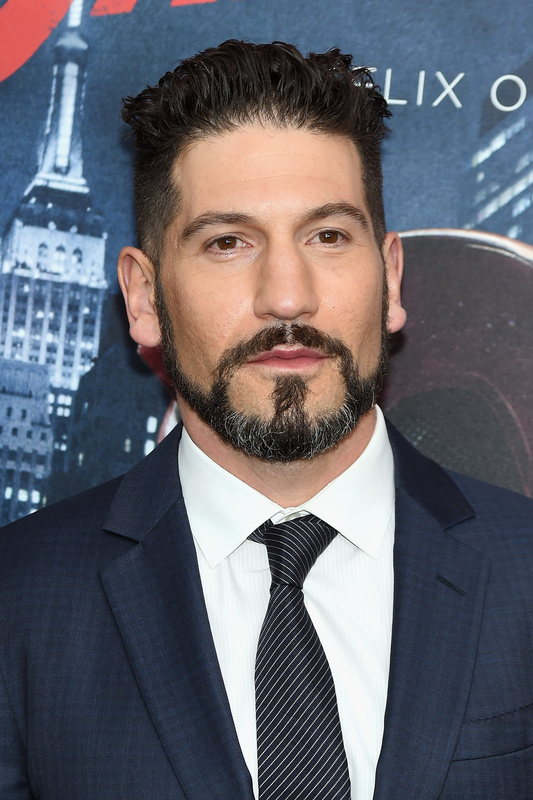 So much so, that I bet you're even wondering if Jon Bernthal is single, because why wouldn't you be inquiring about the love life of the actor who brings Frank Castle to life? Well, if you were hoping you had a chance with Bernthal, I hate to be the bearer of bad news, but he is happily married. According to Us Weekly, Bernthal married Erin Angle in Potomac, Maryland (do you think any of the Real Housewives of Potomac cast attended the wedding?) in 2010. As of March 2015, they are parents to three children, a daughter, named Adeline according to Us Weekly, and two boys, one named Henry, according to the AP, and the other who's moniker doesn't appear to be publicly known. Not much is really known about Angle, but judging by a tweet from Bernthal, which he shared in October 2014, she seems to be the niece of professional wrestler Kurt Angle. Also, it sure looks like their wedding was beyond gorgeous. The official website of their wedding photographer, Michael Segal, has a bunch of pictures from their wedding day, which I highly suggest checking out. Does it get much cuter than that? There's no doubt Bernthal is happily married and can't get enough of his kids.